As an AWC-SB member we know you love books and love to read! We are excited to launch our summer book club, Books for Breakfast! 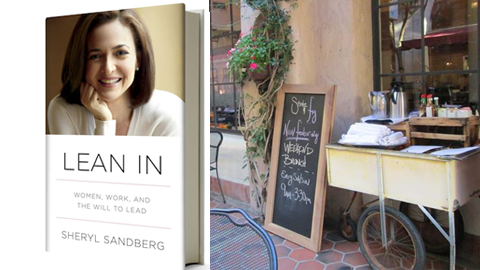 We hope you join us for breakfast at State & Fig restaurant for the discussion about Lean In by Sheryl Sandberg. The discussion will be faciliated by Lois Phillips, PhD and Lisa Gates. Ticket price includes a wonderful breakfast at State & Fig restaurant in the La Arcada Plaza. Learn what everyone is saying about Lean in …. listen to the TED TALK and read book reviews by Lois Phillips, the NY Times and Christian Science Monitor + Letters to the Editor (not all positive). Our book discussion is surely going to be lively and interesting, so don’t miss it! This entry was posted in Past Events on June 26, 2013 by Lisa.